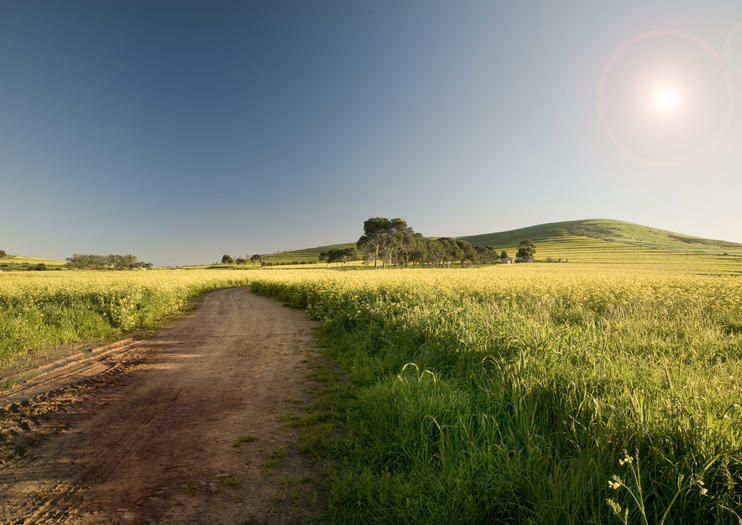 Located about 40 minutes north of Cape Town, the region known as the Swartland is famous for its wheat fields, sheep farms and wineries. With its largely dry growing conditions, Swartland produces renowned full-bodied, reds, ports and fortified wines. Unlike many of the world’s great wine regions, where vineyards and cellars center on a single town, Swartland covers a larger geographical area with several towns, each with its own unique character. The Swartland Wine Route comprises 20 wine- and olive-centric cellars, wine merchants and cooperatives, each offering a different visitor experience. Highlights of the Swartland Wine Route include Allesverloren Estate, one of the oldest wine producers in the region, and the beautiful Kloovenburg Vineyards where award-winning Shiraz, Cabernet Sauvignon and Chardonnays are produced. In addition to wine, many members of the Swartland Wine Route also produce olive oils and olive-based products, like cosmetics and condiments. If you plan to visit Swartland Wine Route members in the Paardeberg area, make sure to contact them first, as many offer tastings by appointment only.